Several weeks ago we analyzed the contents of the new PowerPrep Plus practice tests, their composition, question types, concepts tested, etc. 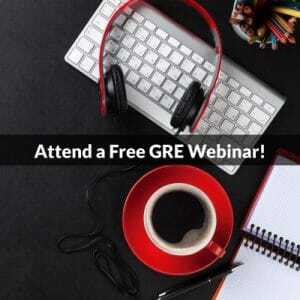 This week, I’d like to focus on the Reading Comprehension portion of GRE Verbal, specifically, what kinds of questions to expect and how to shift your approach depending on whether you are working with a short, medium, or longer passage. “Short Passage” means one question per passage. “Medium Passage” means two to three questions per passage. “Long Passage” means four or more questions per passage. 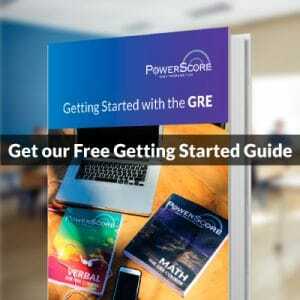 Based on our analysis of existing GRE computer-based test practice material, you can expect exactly two short passage questions (one per section), fourteen medium passage questions, and four long passage questions based on one passage (likely on the first Verbal section). This structure is not guaranteed! ETS could mix it up, replace a medium passage with three short passages, or include two longer passages instead of one. However, ETS has demonstrated a longstanding affinity for medium passages. These two to three question passages are far and away the most common on the GRE. Let’s take a look at the adaptations in your approach necessary for each situation. Then we’ll test your Reading Comprehension skills with a long passage. Let’s look at the basic approach and where and how to shift. Read and understand the passage. Try to assess the main idea or purpose. Pick a question and understand the task. Return to the passage to find evidence to answer the question. Match your prephrase to the answer choices, working through process of elimination. Now let’s adjust for short, medium, and long, highlighting distinctions. Does the passage contain an argument or fact set? If an argument, identify the conclusion/main point and evidence backing it up. If a fact set, make note of what information you have at your disposal and any discrete inferences possible. Understand the question task. There’s only one question, so no skipping around here! Follow the ViewSTAMP™ rubric, i.e. read for structure, tone, and main point, taking note of different viewpoints and arguments contained in the passage. Read actively and remain focused, but remember your goal is to get the information you need to answer the problems. You are under no obligation to do the questions in order. If you had difficulty understanding the main point or purpose of the passage, consider starting with more detail oriented questions. If you have a firm grasp on the main idea, consider tackling more general questions first. Now let’s look at how medium passages combine elements from the short and long passage approach. Read looking especially for structure, main point, and arguments. Medium passages will feature “big picture” elements of longer passages but also likely focus on possible overall inferences or argument tasks. If you had difficulty understanding the main point or purpose of the passage, consider starting with more detail oriented questions. On a medium passage, this could be a Must Be True question task. Tackle the inferences first. If you have a firm grasp on the main idea, consider tackling more general questions first. On a medium passage, this could be a Main Point/Primary Purpose question or an argument-type question. Notice that in all three cases, some strategies remain the same, namely the importance of finding evidence in the passage, Prephrasing™, and working with process of elimination through the answer choices. Now, attempt this challenging long passage on our GRE discussion forums. Register for free to post your solutions and ask questions.